Car was originally brown and was painted red by a p.o. The paint is very nice with the exception of an area on the lower front valance. The trim could use a touch up in a few areas. 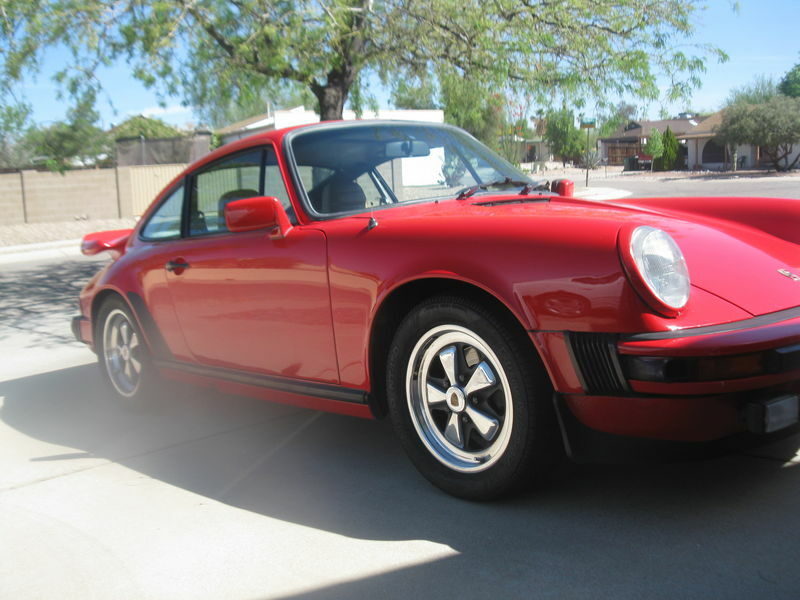 The car is a SC but has a Carrera badge on the rear decklid that was on the car when I bought it. It has a turbo "S" tail. The car has the stock 3.0 and the 915 transmission. The engine runs very well and shifts well also. 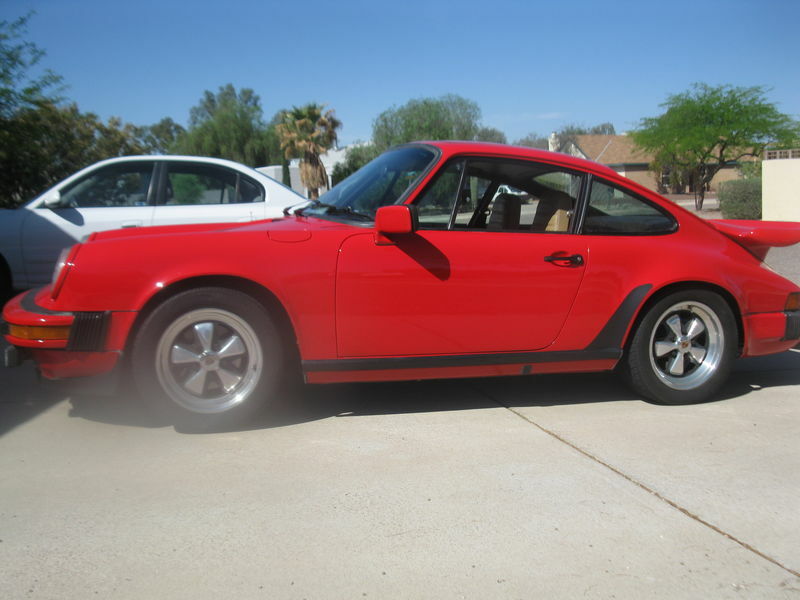 There is a oil cooler in the front fender and in the hottest Arizona weather it runs very well. the car does have a pop up valve but does not have the carrera tensioner upgrade. The A/C system is intact, but is not functioning. The wheels and tires are in good condition. All of the guages and switches work with the following exceptions. It needs a new window switch for the passenger side. It needs a new odometer gear and it also needs a new turn signal high/low beam switch. The sunroof works fine as well as the mirror switches. The car has 138000 miles on it. 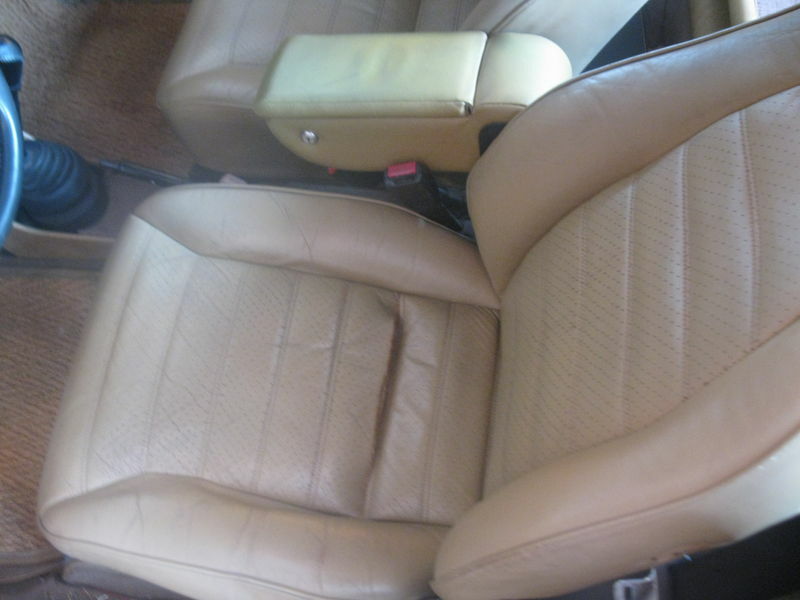 The interior is in great condition with the exception of the driver's seat which has a split in the seam in the bottom cushion. The headliner, carpet and dash are all in good condition. The body is in good condition and there is no rust. I am asking $11000.00 and I am willing to trade for a 2003 or newer Nissan Xterra 4x4 with an automatic transmission. For some reason, my computer will only load 2 pictures at a time. 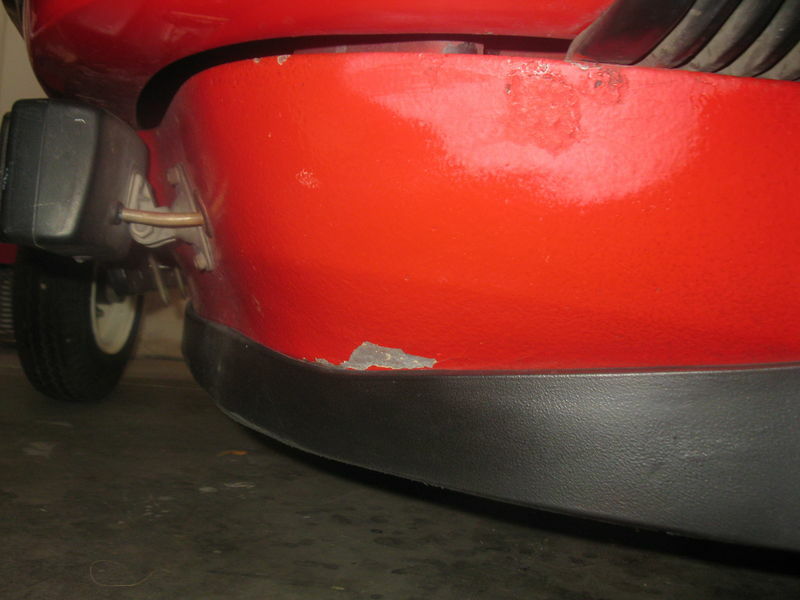 Here is the paint issue on the front valance and the split in the driver's seat.